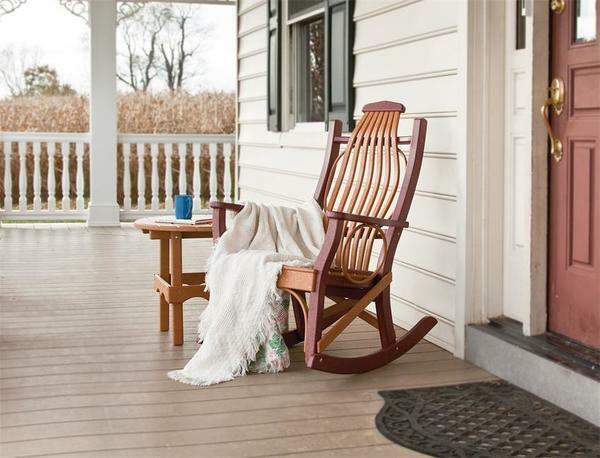 Perfect for any porch or patio, our Amish made poly porch rocker set includes two cozy chairs and a matching end table - creating a quaint, cozy look for your decor. Crafted from an eco-friendly poly resin, each chair utilizes recycled milk jug and is crafted by hand to form a sturdy rocking chair that is ready for decades of enjoyment. Customize your set to show off your team pride, match your decor, or add stunning contrast to maximize curb appeal.